Gallois sits on the PSA board as the French government's representative. PARIS (Bloomberg) -- PSA/Peugeot-Citroen's supervisory board unanimously backed ex-Airbus Group CEO Louis Gallois to succeed Thierry Peugeot as chairman, a person familiar with the matter said. Thierry and his cousin Robert will remain on the board to take the founding family's two seats, said the person, who asked not to be identified because the decision has not yet been announced. 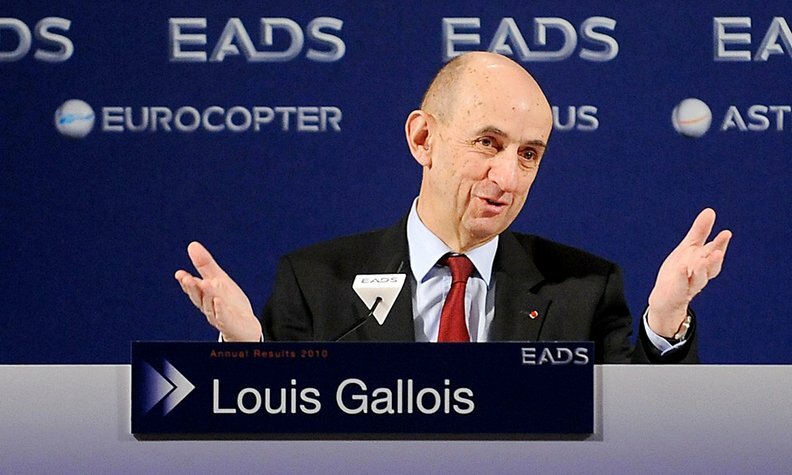 Gallois, who already sits on the PSA board as the government's representative and is supported by President Francois Hollande, beat out former Nexans CEO Gerard Hauser, the person said. The chairman's position will be held for the first time since its creation in 1972 to someone outside the founding family as part of a broader governance reorganization that will result in the family's board seats being reduced to two from four. Jean-Baptiste Thomas, a PSA spokesman, declined to comment on the board's discussions.